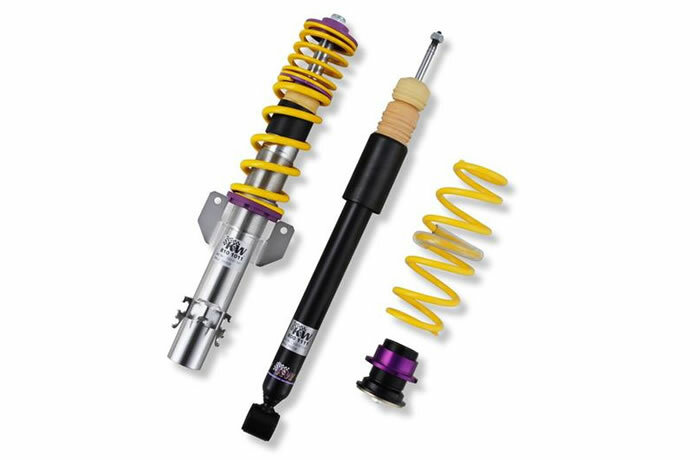 Volvo V70 (S/J) 2WD INOX Variant 1 Coilover (10267008) - KW - Suspension Direct. Sportiness combined with outstanding performance. With KW pre-configurated dampening. The ideal system for customers who wish to decide the custom lowering of their vehicles. In extensive driving tests, our experienced enginees have preset the dampers for the ultimate balance between sporty driving, comfort and safety.